Holding an event to promote your brand or products can be as costly as it is valuable. Throwing together a show with a key speaker, or putting on free food and beverage for advertising’s sake is no longer enough to resonate with your buyer persona and have them itching to convert from skeptical observer to avid fan. Professional Event Managers are working harder than ever to ensure they’re self-educated and helping clients produce events that are on trend, on point and better than on par with your competitors. With the emergence of Facebook and Instagram live, it has never been easier to promote your event in real time. Opening ceremonies, keynotes, attendee interviews, announcements, and giveaways are all great live content. Promotional Models, Brand Ambassadors, and Mascots Performers can utilize this tool effectively on the ground; but also consider streaming via drones for optimal visual impact. Imagine how many more people you could have attended your event if they didn’t have to physically be there. 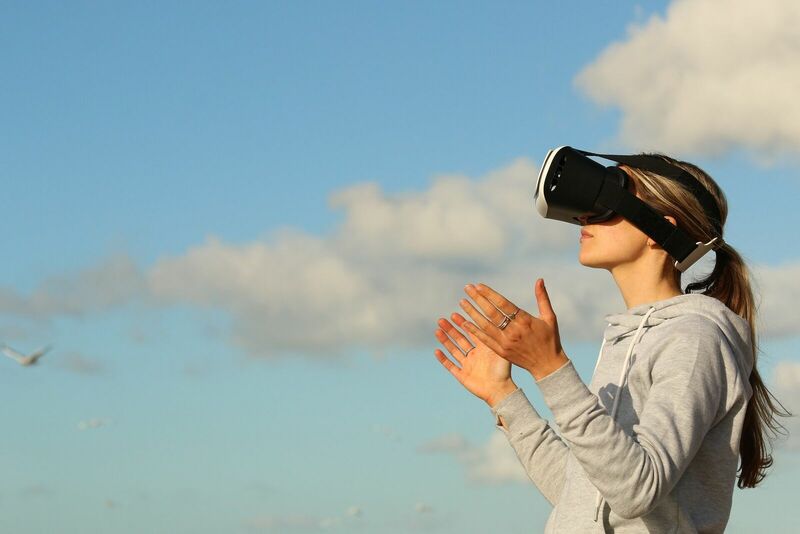 Utilising augmented reality (AR) and virtual reality (VR) you could allow people worldwide to walk through the event venue as though they were actually there. Layar is an augmented reality app, who in a recent report on VR and consumers, demonstrated a 135% increase in the likelihood of a consumer purchase following the viewing of an AR version of a product. The cost of these technologies is dropping as they’re gaining momentum and new products are bursting onto the market. This means VR is becoming well within reach for event organizers. Breathe more life into your event with high quality and engaging entertainment. Rich Media includes games, videos, and virtual or interactive activities. What product or service is unique to your brand that could earn a special Rich Media place at your event? Be creative, use game motivation to inspire action and keep people entertained and wanting more. What’s an example? Two words… Pokémon Go. Environmentally conscious events are not just gaining popularity; they’re fast becoming expected. Impress your attendees through your forward thinking and environmental awareness. Create a Google employee style environment that helps relax your customers and makes them feel comfortable in their surrounds. Offer relaxed lounge areas or exercise breaks if your event is long, healthy food and obviously responsible initiatives will shine your company and your products in a positive light to those that matter the most. Cut advertising costs through finding your buyer persona via actions and activities they’re posting about on social media. Ensure you have targeted landing pages with a clear call to action. Event organizers and promoters are successfully drawing more sponsors and attendees through longer marketing campaigns, less formal speaker presentations, which engage the audience better and adding value through increased self-service options and an element of fun. Attend as many of your competitor’s events as possible. If you’re in direct competition, you need to know how they’re presenting themselves and better it. Your target market will be attendees at their events and we guarantee they will be comparing the shows. You’ll gain valuable insight into areas you can improve on, where you may fall short and just how much budget you’re going to need to put on an event that smashes theirs out of the arena. The world of events is an exciting, ever-progressive industry that we love to be a part of. Our dedicated professional account managers along with our large talent pool of Promotional Models, Brand Ambassadors, Product Demonstrators and Mascots Performers can all provide valuable insight into what is working and on-trend in the industry. Your brand, product or service is the story and your event the storyteller. Personalised, targeted, forward-thinking, engaging and fun. That’s what you want.